Think Tank Watch: Smithsonian to Launch New Think Tank? 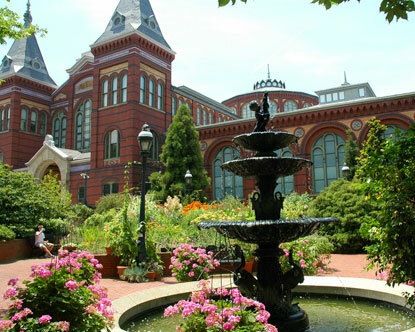 Smithsonian to Launch New Think Tank? Globalization has been a hot topic for the past 50 years or so, but some experts believe that it might have actually started 500 years ago following Christopher Columbus' expedition. That's what author Charles Mann said at a Smithsonian Institution event, "Anthropocene: Planet Earth in the Age of Humans," on Thursday at the Natural History Museum. Twenty five experts from varying backgrounds gathered for a series of presentations and panel discussions on how humans have affected change on the planet. Topics ranged from the earth's ecology and biology, to literature, art, and education. "This idea of change is what we thought would link us all together," said John Kress, one of the directors of the Smithsonian's Grand Challenges Consortia, an interdisciplinary collaboration with four branches: Bio-diversity, World Cultures, Mysteries of the Universe, and the American Experience. Kress and the other directors invited well-known scientists, authors, artists, and anthropologists to discuss their perspectives on how the globe has rapidly changed since humans have existed. He said he hoped Thursday's event would be the beginning of a think tank of scholars discussing human impact on the globe and reaching out to the public through books and films. It is worth noting that the Woodrow Wilson Center for International Scholars was established as part of the Smithsonian Institution.